Starting Strength Coach Hari Fafutis demonstrates the squat teaching method in Spanish. 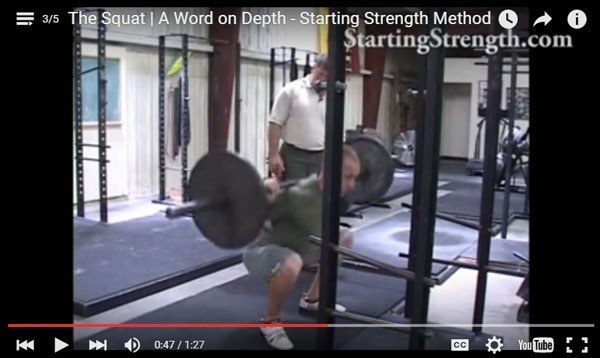 How to squat as taught by Mark Rippetoe in Starting Strength: Basic Barbell Training. In this instructional video, you'll learn the correct positions and movement for the low bar squat. How to squat from the Starting Strength DVD (released 2010). 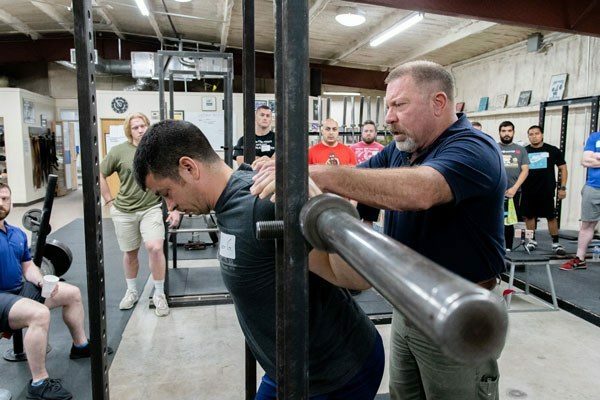 Mark Rippetoe takes lifters of varying size and shape through the Starting Strength teaching progression for the squat as detailed in Starting Strength: Basic Barbell training. This is part 4 of a series on learning how to squat. Watch the rest of the series on the Press, Deadlift, Bench Press, and Power Clean. How to squat from the Starting Strength DVD (released 2010). 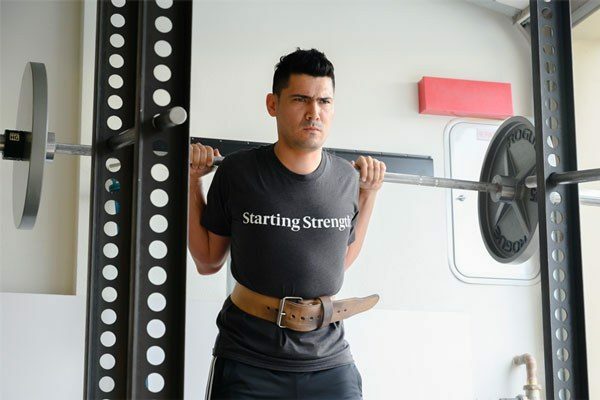 Mark Rippetoe takes lifters of varying size and shape through the Starting Strength teaching progression for the squat as detailed in Starting Strength: Basic Barbell training. This is part 3 of a series on learning how to squat. In the next video, Rippetoe will coach lifters through their work sets. How to squat from the Starting Strength DVD (released 2010). 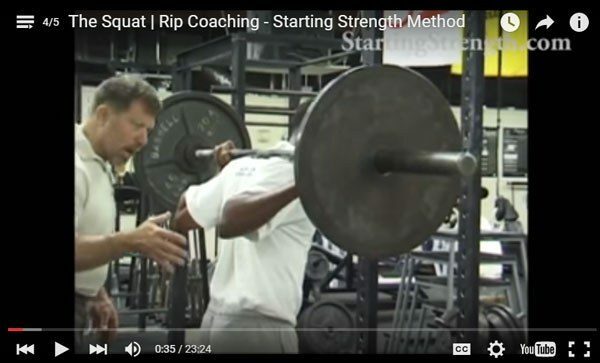 Mark Rippetoe takes lifters of varying size and shape through the Starting Strength teaching progression for the squat as detailed in Starting Strength: Basic Barbell Training. This is part 2 of a series on learning how to squat. In the next video, Rippetoe says a few words about squat depth.